Ponce Inlet Lighthouse is on the inlet that connects the Halifax River (Intracoastal Waterway) to the Atlantic Ocean. 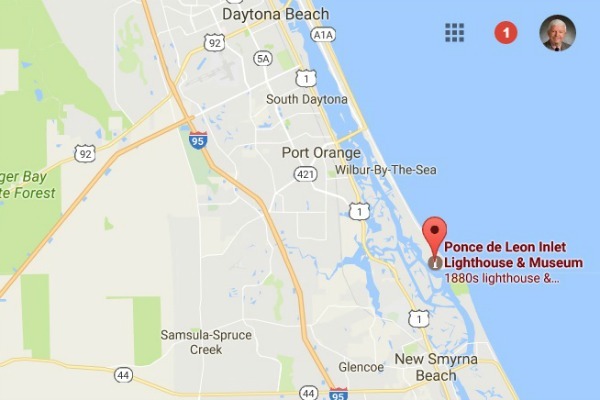 The inlet is located between the village of Ponce Inlet and New Smyrna Beach. It is about 10 miles south of Daytona Beach. It is not only Florida's tallest lighthouse, is has been designated a National Historic Landmark. 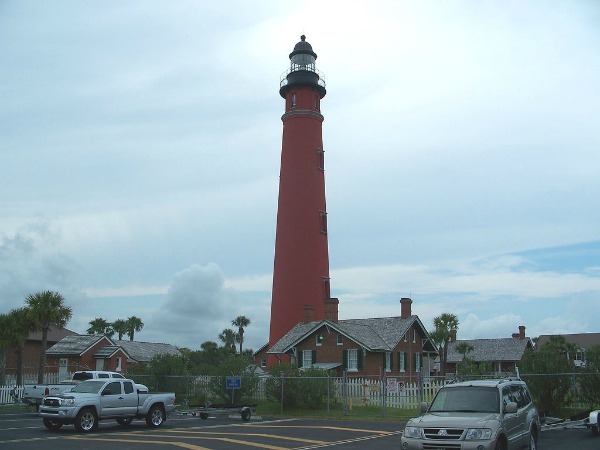 The property is in the village of Ponce Inlet and includes a lighthouse tower and museum. Only the Hatteras Lighthouse on the Outer Banks of North Carolina is taller than this one. The top is 170 feet high and takes 203 steps to climb. The view from the top is worth the climb. You will see the high rise condos and beaches to the north in Daytona Beach and to the south in New Smyrna Beach. The museum has interesting displays of the various lights that have been in operation at the lighthouse, and glimpses into the living quarters of the keepers who served there. Self guided and guided tours of the lighthouse and museum are provided; guided tours require reservations. Your self guided tour can include climb the 203 steps of the lighthouse tower for a fantastic view of the surrounding area. The lighthouse and museum is open to the public 7 days a week except for Thanksgiving and Christmas. Winter Hours: From the day after Labor Day to the day before Memorial Day, it is open for admission from 1000 am to 500 pm. Summer Hours: Memorial Day through Labor Day, it is open from 1000 am to 800 pm. Daily admission rates are $6.95 for adults and $1.95 for children 11 and under. Infants are admitted free with a paid adult. The Ponce Inlet Lighthouse organization website has further details about the lighhouse and museum. There is also information on the village of Ponce Inlet and the local restaurants on our website at Ponce Inlet, Florida.